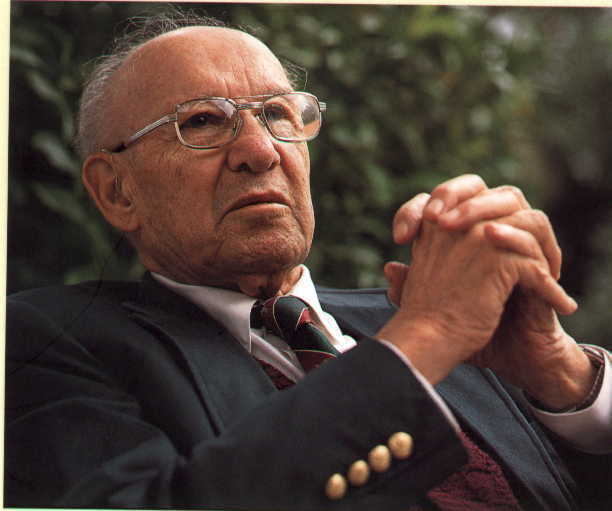 Drucker...wrote about individual self-development and self-management. But these aspects of his thoughts are scattered across a number of his books and articles. In this book, I collect and synthesize his best lessons for knowledge workers into a logical order. For you, the reader, this book is the self-help guide Drucker never wrote, and the next-best thing to being mentored by him. Rosenstein recorded an interview he did Drucker eight months before he passed away and has posted a trailer on You Tube (see below). We are going to continue to see books that further examine Drucker's teachings. I think Rosenstein's Living In More Than One World makes an interesting companion to Drucker's The Effective Executive. Rosenstein definitely takes a softer self-help stance than you'll find in Drucker's terse writings. These new interpretations allow us to see new meanings and lessons.